Ladakh is the cold desert region of Jammu & Kashmir state of India. It got the ‘best adventure destination‘ award in Outlook Traveller Awards 2018. Last year in 2017 Ladakh secured the ‘Best hill station destination‘ award as well. This year it become the favorite destination for the adventure seekers. 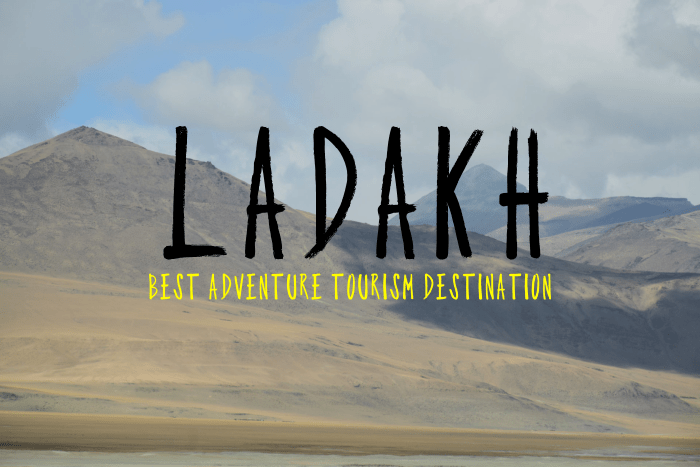 Ladakh attracts the tourists for its famous Chadar Trek (The frozen river trek of Zanskar), hiking to Stok Kangri and Nun Kun peaks which are approx 6000 & 7000 meters high apart from the famous activity for which Ladakh is popularly known for – Motorcycling / biking to Khardungla and Pangong Lake. Ladakh also hosts many adventurous sports competitions which attracts visitors from all over the globe. Ladakh attracts worldwide travelers for its other activities as well like Camping, double hump camels, Horse Polo, archery etc. Ladakh is getting its popularity worldwide among the motorcyclists to get a chance to drive through the highest motorable road and crossing many high mountain passes. Approx 0.3 million domestic and foreign tourists visited Ladakh last year. Apart from adventurous activity tourists can experience the old Himalayan culture, tibetan culture, Himalayan architecture etc. So now riders have one more reason to riding royal enfield in Ladakh. If you are interested to visit here click here to Book a Ladakh Bike Trip. Is it safe to visit Nepal and Ladakh after Earthquake?